Dr. Kaitlyn Burrows and her best friend, Anya, have come to New Orleans to have a little vacation and to attend an annual fundraising masquerade party. Kaitlyn is there to have fun and donate some much needed funds. What she isn’t expecting is to meet Thierry Beaulieu. He’s about to take one night in New Orleans and make it a night to remember. Thierry Beaulieu is a pilot and has come home to his native New Orleans for some much needed down time, and to support his best friend with the bachelor charity auction. When he meets a mystery woman at the ball and finds he wants to get to know the woman better, he fixes it so she wins the auction. He has one night to prove to Kaitlyn that there is such a thing as love at first sight, and there is nothing wrong with lust being the motivator. He’s going to make sure his Kaitlyn has a night she won’t forget. Visit Kristi at Heart of Fiction today. Leave a comment or question with your email address, and enter a chance to win a free copy of One Night in New Orleans. Tirgearr Publishing is proud to announce that we've just signed our first multi-book contract with in-house author, Kate Robbins﻿! 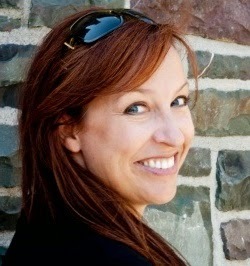 A life-long resident of Newfoundland and mother of two man things (her sons), Kate says she writes "out of pure escapism and a love for all things Scottish, not to mention a life-long enjoyment of reading romance." She loves the research involved with her writing, and blending historical fact with her stories to create an authentic reading experience. 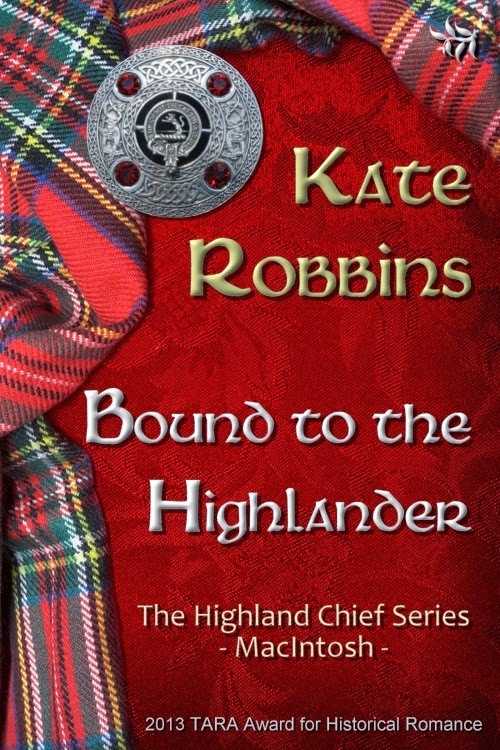 Kate's debut novel, Bound to the Highlander, was a runaway hit before it was even published, having won the 2013 TARA Award winner for Historical Romance, and has since gone on to claim the Amazon title of #1 Best Seller of Historical Romance. This books continues to hold honorable positions in the Amazon top 100 lists for Historical Romance, Scottish Historical Romance, AND Historical Medieval Romance. Aileana Chattan suffers a devastating loss, then discovers she is to wed neighboring chief and baron, James MacIntosh -- a man she despises and whose loyalty deprived her of the father she loved. Despite him and his traitorous clan, Aileana will do her duty, but she doesn't have to like it or him. But when the MacIntosh awakens something inside her so absolute and consuming, she is forced to question everything. James MacIntosh is a nobleman torn between tradition and progress. He must make a sacrifice if he is to help Scotland move forward as a unified country. Forced to sign a marriage contract years earlier binding Lady Aileana to him, James must find a way to break it, or risk losing all -- including his heart. From the wild and rugged Highlands near Inverness to the dungeons of Edinburgh Castle, James and Aileana’s preconceptions of honor, duty and love are challenged at every adventurous turn. 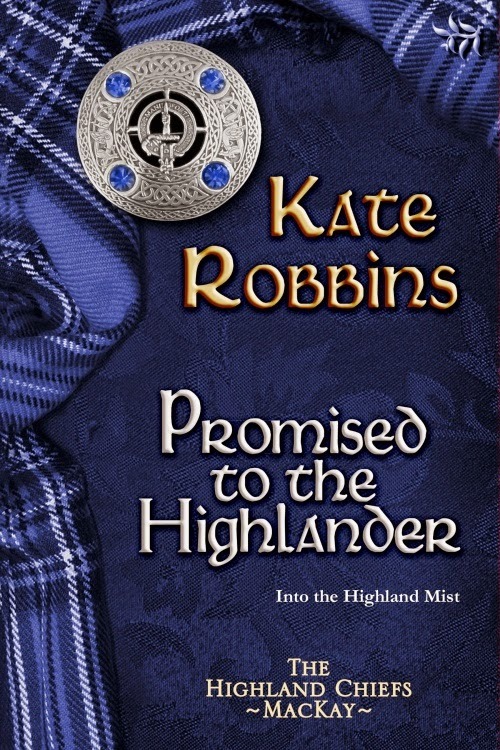 Her most recent release is the equally amazing, Promise to the Highlander. This book has been quickly climbing the charts and gaining attention on its own while shadowing the popularity of the first book in the series. It also currently holds respectable positions on the Amazon top 100 lists for Historical Romance, Scottish Historical Romance, AND Historical Medieval Romance. Nessia Stephenson's world was safe until a threat from a neighbouring clan forces her to accept a betrothal to a man whose family can offer her the protection she needs. The real threat lies in her intense attraction to the man who arranged the match—the clan's chief and her intended’s brother, Fergus MacKay. Two years ago Freya MacKay walked away from the only man she would ever love, her family’s bitter enemy, knowing her clan would never accept their love. A fragile alliance has been forged and now he has returned to warn of a terrible threat. Freya MacKay is torn between the familiar surge of passion he evokes and her promise to wed another man. Ronan Sutherland has lost everything to a cruel uncle who will lay the entire north Highlands to waste if he is not stopped. There is only one who can help—but seeking alliance with his former enemy, Fergus MacKay, means encountering the woman who left him two years ago, breaking his heart. A bitter feud keeps their clans at one another’s throats and it seems nothing will stop one from destroying the other. Will Ronan ever forgive Freya for leaving him? Can he trust her again? Or will the decades of hatred and deceit between their families prevail? Following in 2015 will see the releases of book 4, Prisoner of the Highlander, and book 5, Heart of the Highlander. As soon as we have details on these books, we'll be sure to share. "Gobsmacked. I know we talked about how many books were in the series, but I didn't expect to receive all three at once! 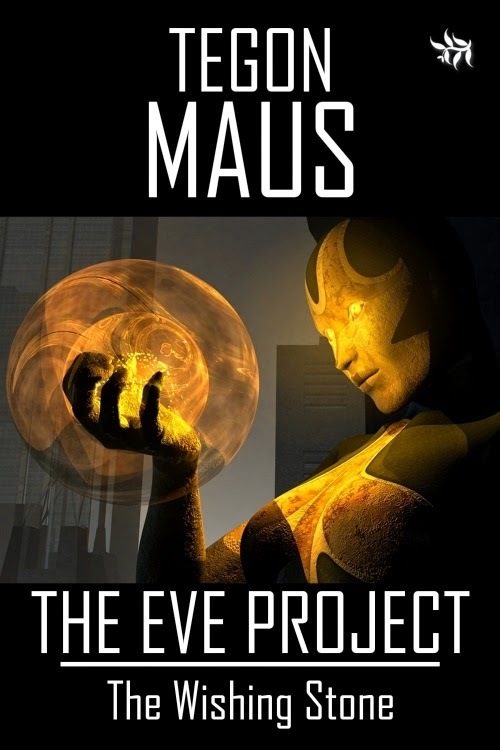 Am thrilled Tirgearr has such faith in this series." "By taking my man things to a nice dinner :-) "
Please follow Kate online on her website, Facebook, Twitter, and at Tirgearr for information on the releases of Prisoner of the Highlander and Heart of the Highlander. 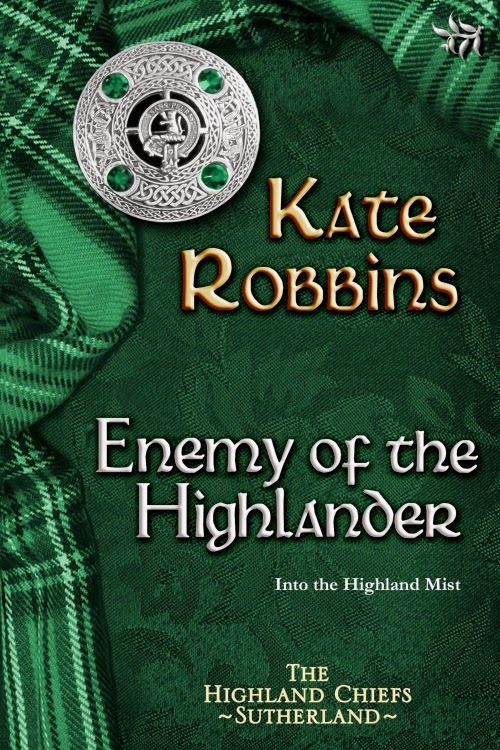 Many congratulations, Kate, and best success for Enemy of the Highlander and the whole series. You deserve it. Visit Mary at Heart of Fiction today. 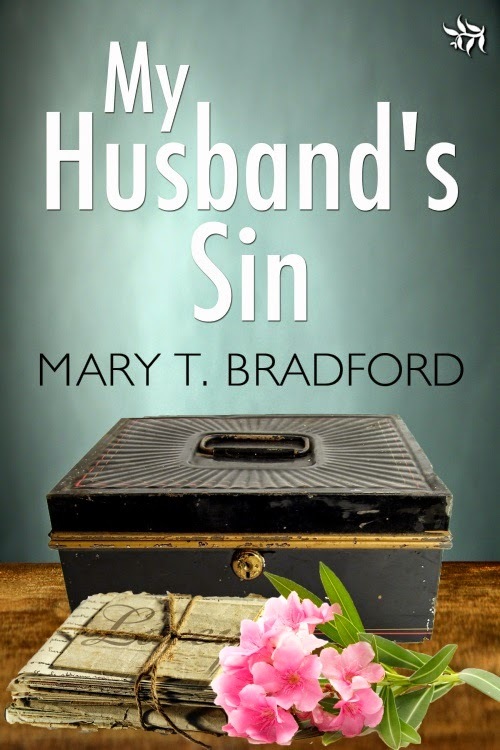 Leave a comment or question with your email address, and enter a chance to win a free copy of My Husband's Sin. Visit Noreen at Heart of Fiction today. 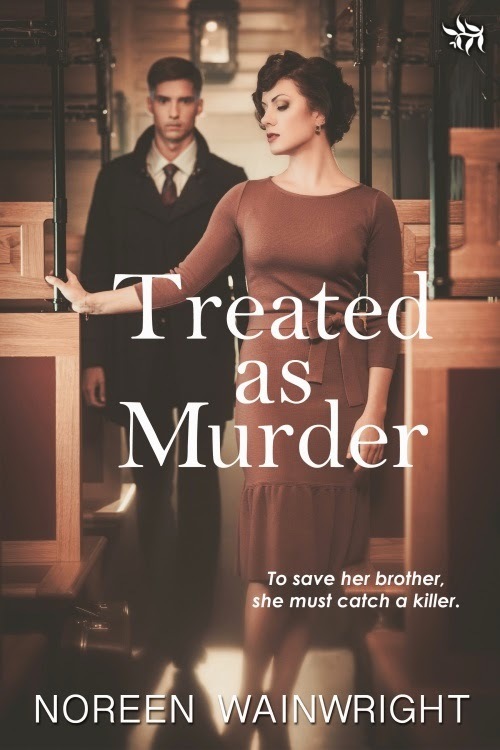 Leave a comment or question with your email address, and enter a chance to win a free copy of Treated as Murder. Convincing self-appointed vigilantes to follow the law is not a simple task, yet that's what Marshal Claw Kiley faces when he confronts a gang of mountain men from West Virginia, out to punish renegades for dishonoring a woman. Not unsympathetic to their cause, yet well aware how easily vengeance turns to slaughter, Kiley is forced to risk his life in order to let the law judge and sentence the guilty. And to survive past the one-year life expectancy the Federal men in Topeka had given him, Kiley will need all the help of trusted friends to survive the threat of drifters, gunfighters, and outlaws, all eager to try their hand at bringing the new "Badge" down. 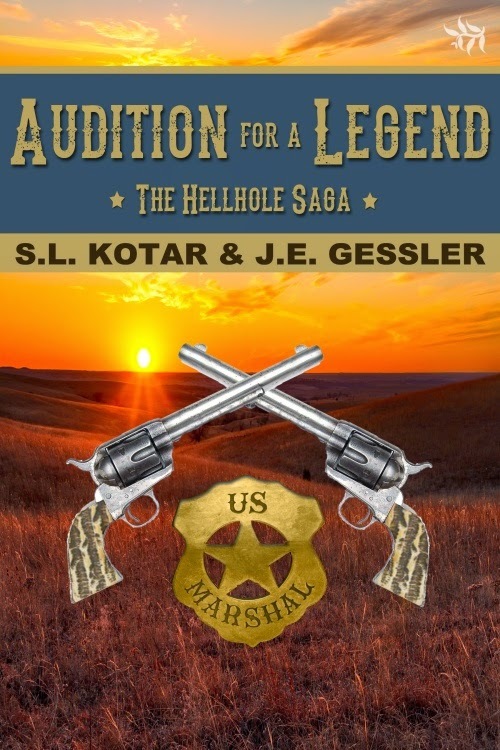 If Kiley lives, he will become a legend; if they gun him down in the street, he will fill a grave on Boot Hill – next to those who had come before and failed. Visit SL Kotar and JE Gessler at Heart of Fiction today. Leave a comment or question with your email address, and enter a chance to win a free copy of Audition for a Legend. During that last summer, as if in punishment for being happy, Kate was diagnosed with cervical cancer. The last time we used the wishing stone was at the hospital the morning she died. On that day, all three of us made a silent wish, certain the others had wished the same. Kate died that afternoon and I never thought about it again. It was the last time I believed in magic, in love or in the existence of God. Then, after three miserable lonely years, the unthinkable, a second chance . . . Warwick. Visit Tegon at Heart of Fiction today. Leave a comment or question with your email address, and enter a chance to win a free copy of this book. Buy it here for just 99c through August! As an eight-year-old child Brenda was bitten by a monster chained in the basement. Now 17 years later she returns to face her fears. With claws at his hands and feet, broad wings, horns and a massive snout, Milton terrifies Brenda. Centuries ago, before the Earth was even formed, Milton committed the worst sin imaginable and as payment for this sin, he is forced to look like an evil gargoyle. Milton offers to help Brenda’s infant nephew, but only if Brenda agrees to marry him. While she agonizes over her decision, Brenda learns that he is not evil as he appears. But she also realizes if she marries him, she will not be first in his life. He must complete his quest, even if it means sacrificing her. How can her growing love survive under those conditions? 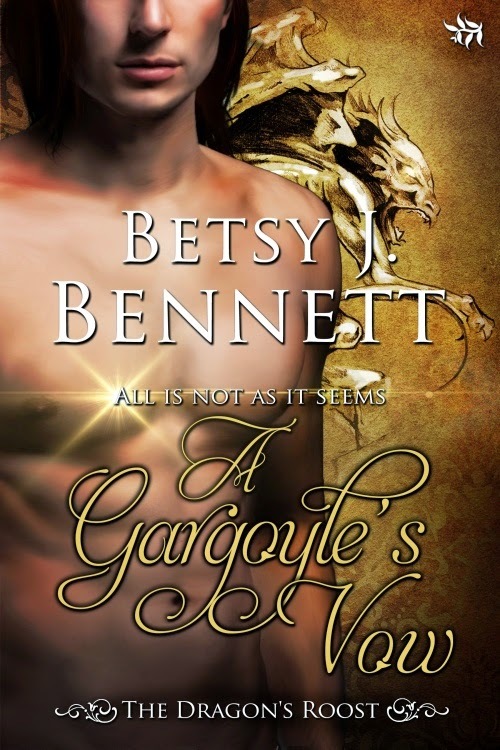 Visit Betsy at Heart of Fiction today. Leave a comment or question with your email address, and enter a chance to win a free copy of this book.